SAM Broadcaster PRO is your complete online radio solution! Start your internet radio career now – professional quality at a fraction of the price. Join 200,000 radio stations in 150 countries! The SAM Broadcaster PRO built-in advanced audio processor will make your station sound incredible! 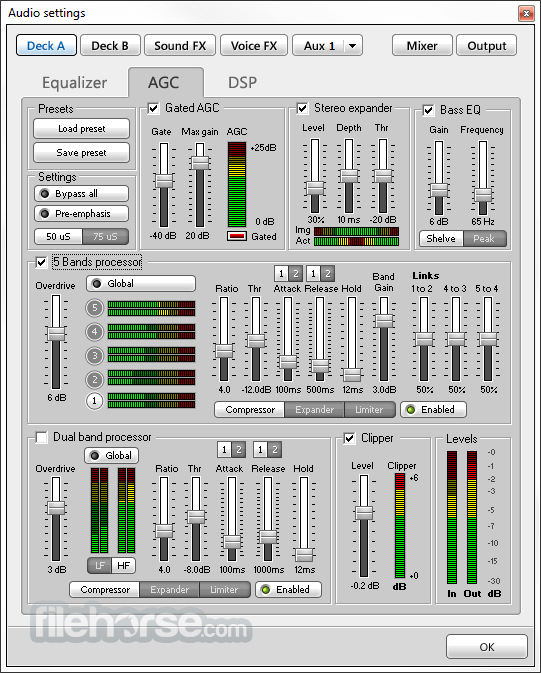 Features an Equalizer, Gated AGC, Stereo expander, Bass EQ, 5-band processor, 2-band processor and clipper. The multi-band processors contain a Compressor, Expander and Limiter for each band! 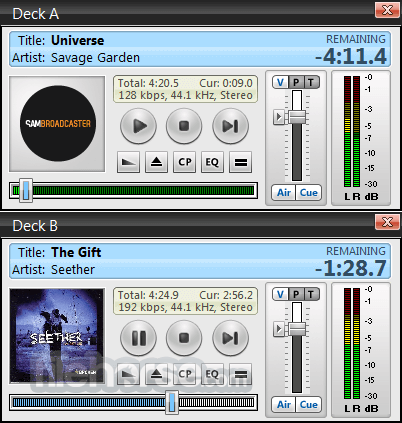 Upgrade SAM Broadcaster PRO to Full Version for Only $15/month! Click Here! 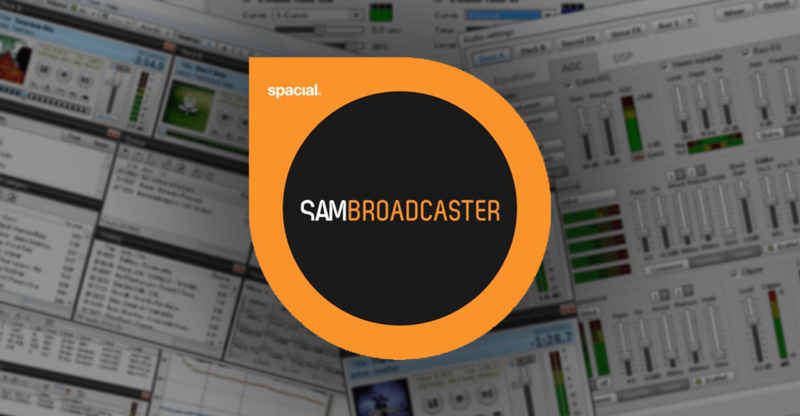 SAM Broadcaster PRO 2019 latest can (optionally) do the above and also at the same time stream directly to your own streaming servers. This means you can potentially be streaming many streams to your streaming servers which takes a lot of quality bandwidth to do reliably. See in real-time how your audience is growing. 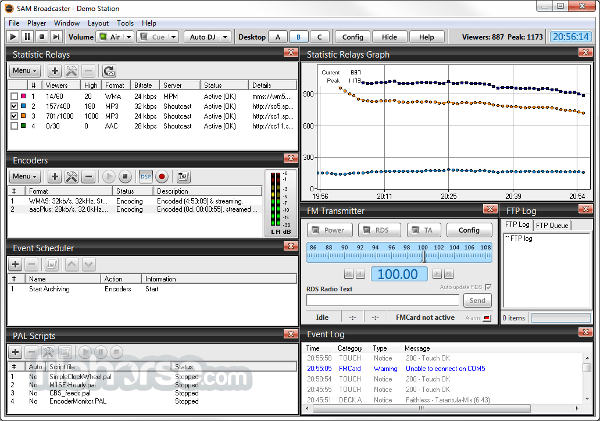 Access data logs for performance reporting and other useful reports on your station playback history. 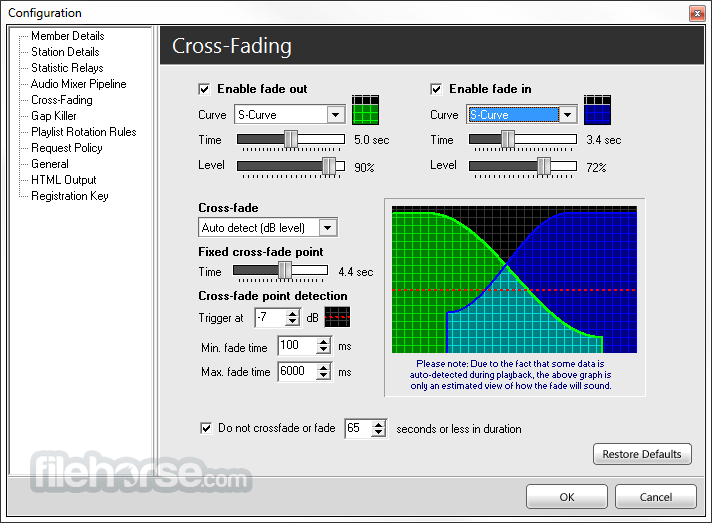 Download SAM Broadcaster 2019 latest today! You do not require a cloud backup to take over when your live stream goes down. You broadcast on a private network not connected to the internet. You wish to stream directly to your own SHOUTcast or Icecast servers without using cloud as your central distribution platform. You do not mind building and maintaining your own infrastructure. You use the software mostly as an advanced playback system and do no streaming. You need to broadcast in a format not currently supported by the cloud, i.e. mp3PRO, Ogg and Windows Media.